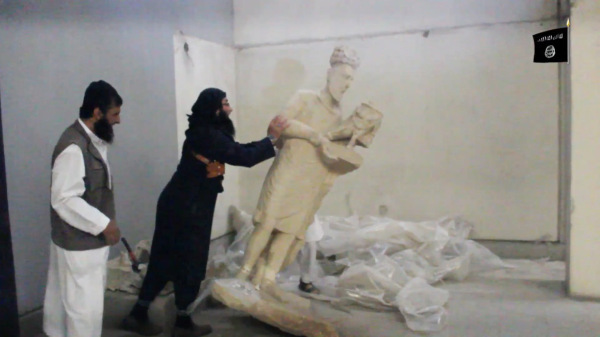 The Islamic State militants destroy art to send a powerful and destructive message: that learning, beauty and the transformational power of art has no place in any so-called Islamic State. We can expose the lie in this message in one simple way: by supporting ancient and contemporary art from the region. Our city demonstrates how effective an ambassador art can be. Houston stands proud as one of America’s emerging cities for terrific art from all over the world, especially art from the Middle East. Works of art that formed the Houston-based FotoFest 2014 Biennial are currently on display at the Emirates Palace Gallery in Abu Dhabi. Also, the Museum of Fine Arts, Houston (MFAH) has an outstanding collection of Islamic art spanning the 9th to early 20th centuries; beautiful calligraphy and other decorative art that demonstrates the region’s commitment to learning and beauty. We should encourage the MFA and other museums to responsibly display more works of Islamic art from this troubled region. By countering the vile message of the Islamic State by consuming and valuing Islamic art, we value and preserve what they would destroy.